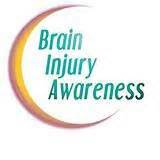 Brain Injury is NOT Discriminating! It can happen to anyone, anytime, . . . and anywhere. The Brain Trauma Foundation states that there are 5.3 million people in the United States living with some form of brain injury. On “Faces of Brain Injury,” you will meet survivors living with brain injury. I hope that their stories will help you to understand the serious implications and complications of brain injury. The stories on SPEAK OUT! Faces of Brain Injury are published with the permission of the survivor or designated caregiver. If you would like your story to be published, please send a short account and two photos to me at neelyf@aol.com. I’d love to publish your story and raise awareness for Brain Injury. Valentine’s Day 2010 would turn into a complete game-changer – a day we will never forget. It’s a day I’ve documented so, if the day comes when my memory is gone, I can always reflect back on God’s goodness and mercy. Following is my account of the night we were poisoned. God provided the most beautiful second chance. We were experiencing a “Texas Winter” and had received about six inches of snow. We had been without power for three days. On day 3, we ran a generator in the driveway, near our garage. The garage door and windows were open. The Fire Chief later told us that, since it was so cold and there was no wind, the carbon monoxide gas probably just settled. Instead of blowing away, it just crept back into the house via the eaves. Taylor (my daughter; 13 at the time) and I had gone to bed. She told us that someone had called her name and she was trying to get up to see who it was. She got up, fell face-first into the wall, collapsed and crawled out of her bedroom, shimmied up the wall, and collapsed again. The thud of Taylor falling on the concrete floor is what woke me up. Charlie (her dad and my ex-husband) heard this as well from the living room. We went to the hallway and found Taylor passed out and lying on her face. We couldn’t get her to respond! Charlie sent me for the flashlight that was by my bed. On my way, I felt like I was not right either. I got the flashlight and ran back to the hall so I could get to Charlie to let him know I wasn’t OK. I knew that if I collapsed in the bedroom, he wouldn’t know to come for me. Everything was spinning out of control, and I was experiencing the worst feelings I had ever had! When I turned the corner to the hallway, I collapsed face-first (without using my hands or arms to brace myself). I fell onto the metal flashlight and severely cut my forehead. I told Charlie I felt blood running down my face. He looked at me with the flashlight and said he had to get me to the hospital! My head began to pulse blood. Taylor, I, and the walls were covered in blood. Meanwhile, Taylor was in and out of consciousness. I was having convulsions and banging my face into the concrete floor. Charlie then called 9-1-1. First to respond were the police. Charlie told them we had no power, so they used their flashlights. They immediately saw my blood and the bloody handprints in our hallway, and Charlie had my blood on him as well. Immediately they accused Charlie of a crime. Shortly thereafter, the fire department arrived, and luckily Charlie knew one of the firefighters who quickly came to Charlie’s defense. Charlie told the Fire Chief of the generator, and immediately the Chief went to the truck to get the carbon monoxide detector. Even at the entrance to our driveway, the readings on the detector began to rise quickly. The readings went higher as he got closer to the house. Upon reaching the door, he called for his crew to exit the house and got Charlie, Taylor, and our dogs out as well. Paramedics were left inside with me to get me stable enough for transport to the hospital. Eventually I left by ambulance, and Charlie and Taylor left in Charlie’s truck. At Mansfield Methodist Hospital, Taylor’s and my blood gases were checked. They were found to be “through the roof.” We were then transported to Dallas Methodist to use their hyperbaric chamber. First, my head injury was closed up with fifteen stitches, and I had to have a CT (computerized tomography) scan to make sure I was transportable. Off we went in the ambulance. Upon arriving at Dallas Methodist, a doctor explained the procedures for going into the hyperbaric chamber. (I was trying to comprehend all of this while the carbon monoxide was still doing damage to my brain!) We found out that the family that had just been in the chamber before us had all died, except the father – not comforting! When we came home, my sister Kimberley moved in for approximately a month. Physically, my head was healing, but, mentally, I was left with a traumatic brain injury. I literally started over with kindergarten flashcards (I would look at an apple and say “library”), and my friends and family completed most of my sentences. My neurologist was a great comfort to me as I struggled with memory and cognitive skills. My neurologist also told me that people don’t survive what we went through. He said they really don’t know how to treat me. He said carbon monoxide goes into your brain and destroys whatever it attaches to, and we have no control over what functions are affected. Taylor and I struggle daily, but some recovery continues every day for both of us. Taylor is young, and healing has come differently for her. Memory and migraines are big battles she continues to face. I’ve come a long way, but I continue to deal with balance, breathing, vision, and memory. It seems I have fallen more times than I’ve stood. By far, my greatest challenge is breathing. Every day, at some point I struggle to breathe. Coughing has become my norm. My memory is horrible at times, and I’ve lost so many precious memories. Taylor and I have a routine when it comes to trying to remember things. We just look at each other and ask, “Did we have fun?” The one who remembers says to the other, “Yes, we had fun!” That’s all that matters. What a Valentine’s Day! Taylor saved us by miraculously waking. We endured my bloody head injury which required fifteen stitches, a concussion, a CT scan, blood gas analyses, ambulance rides, and approximately three-hour “dives” in a hyperbaric chamber. (And, we’re both very claustrophobic!) Nothing says “I love you” like a brain injury. To be alive is amazing, in whatever capacity! God is good – no, great! Thank you, Shelley Taylor and Taylor Trammell, for sharing your story. Taylor Trammell and her mother, Shelley Taylor, are contributing authors in “Surviving Brain Injury: Stories of Strength & Inspiration,” edited by Amy Zellmer. Shelley and Taylor’s story is titled, “Our Story of Poisoning — and of Grace.” It can be found in Chapter 75 on page 299. My story, “Nightmare in the Disability Lane,” can be found in Chapter 29 on page 114 of the same book, “Surviving Brain Injury: Stories of Strength & Inspiration,” edited by Amy Zellmer. 3. On what date did you have your brain injury? At what age? I had my brain injury on February 14th, 2010, at age 13. 4. How did your brain injury occur? The problem was apparent the night we were poisoned. 6. What kind of emergency treatment, if any, did you have? I was put into a hyperbaric chamber. 8. Did you do rehab? What kind of rehab (i.e., inpatient or outpatient and occupational and/or physical and/or speech and/or other)? How long were you in rehab? Afterward, I started to sleep poorly or not to sleep any at night. I also suffer from horrible migraines. Sometimes, when I hold on to something, I just drop it. But overall, it’s a mystery because every day could be something different. Now I have sleeping problems, and I get horrible migraines. But, I can’t really say if my life is better or worse. I mean, it’s not fun on some days, but at least I have a life to live. 11. What do you miss the most from your pre-brain-injury life? I miss being able to go to a concert or an event and not having to turn away from the stage or to have my boyfriend hold my head in his chest to block the light. I miss being able to talk normally and not forget what I was saying. Most of all, I miss not being able to sleep. 12. What do you enjoy most in your post-brain-injury life? I enjoy just living in general. I mean that because it was such a close call to be living. God saved me, so I will live my life to the fullest and not let my TBI (traumatic brain injury) hold me back. 13. What do you like least about your brain injury? 14. Has anything helped you to accept your brain injury? Yes. I’ve been helped by knowing that God saved me and that He is always right beside me. I’m not sure. Sometimes it’s hard for people to understand my migraines or that I’m grumpy from not sleeping. Yes, it has. I realize that life is short, so I try to do everything I want to do. I have fun. I love music and going to concerts, but that has changed due to the lights. 18. What are your plans? What do you expect/hope to be doing ten years from now? I am graduating in a few weeks with my degree in ASL (American Sign Language) Interpreting. I plan to become an interpreter and to be married next year and start our lives. 19. Are you able to provide a helpful hint that may have taken you a long time to learn, but which you wished you had known earlier? If so, please state what it is to potentially help other survivors with your specific kind of brain injury. No matter what has become the new you, you have to remember that there is a you because God saved you. I had to accept who the new me was and just roll with it. I mean, there wouldn’t be a you if you were not saved. SO, accept it, and learn what you need to do to live your life every day. 20. What advice would you offer to other brain-injury survivors? Do you have any other comments that you would like to add? Just remember to be thankful, even in the hardest times. Life isn’t easy, and it never will be. Be strong and be supportive to everyone because you never know what the other person is going through. I know a lot of people in my life who have no idea what I go through every day, so just be strong and remember God is with you. If you would like to be a part of the SPEAK OUT! project, please go to TBI SPEAK OUT! Survivors Interview Questionnaire for a copy of the questions and the release form. I had my brain injury on Valentine’s Day seven years ago. I was 45 years old. The likelihood of carbon monoxide poisoning was first evident to the Fire Chief when the detector showed very high levels of carbon monoxide near the house. I was treated for carbon monoxide poisoning at Methodist Dallas Medical Center. Eventually it was discovered that I have a traumatic brain injury (TBI). I was taken to the Emergency Room at Methodist Hospital in Mansfield. I had stitches for a head wound (see story), and I was given a CT (computerized tomography) scan. A hyperbaric chamber at Methodist Dallas Medical Center was used to treat me for carbon monoxide poisoning. Yes. I had occupational therapy. I have a problem breathing. I also have problems with balance, depth perception, and memory. I am plagued with migraines, vertigo, and light-sensitivity. My daily life has changed, with issues in breathing, balance, light-sensitivity, depth perception, noise-sensitivity, and memory. Now I also have daily headaches. (I got a migraine on February 4th, and I have not gone a day pain-free.) Life is just different. I am who I am for a reason. I’m living God’s plan for me. I miss being able to remember, wearing high heels, and pain-free days. I try to live every day with a positive attitude. My daughter and I live with gratitude. We are very thankful that God saved us. I dislike coughing, falling, the light-sensitivity, the noise-sensitivity, and the memory issues. Many doctors don’t have experience with our type of injury. It’s frustrating. Yes. My relationship with Christ. I think my family offers me an abundant amount of grace on days when my head is killing me and I’m extremely nauseous. They know I need to rest my brain a lot in the calm and quiet. Yes. I was an extrovert pre brain injury. Post brain injury, I’ve become an introvert. I love calm and quiet now. I just finished writing a book, “With My Last Breath, I’d Say I Love You” – when your faith and hope slip, grace wins every time. I hope to find a publisher soon. Also, I’d love to speak and encourage others. Early on, realize that you are here for a reason and make the most of each day. Our struggles are what make us stronger. Reach out to others and ask for help when necessary. Love yourself for who you are, not for what you aren’t. See my comments in the preceding question. Shelley Taylor and her daughter, Taylor Trammell, are contributing authors in “Surviving Brain Injury: Stories of Strength & Inspiration,” edited by Amy Zellmer. Shelley and Taylor’s story is titled, “Our Story of Poisoning — and of Grace.” It can be found in Chapter 75 on page 299. I was poisoned by carbon monoxide between the ages of 4 and 9. The poisoning was from low-level dosages over time (five winters in Colorado). The rest of the year, I often played in the basement – near the pile of coal. Coal dust has arsenic. Furthermore, the heat pipes were wrapped in asbestos paper. I remember that, when the furnace was hot, little silver specks would pop off into the air. So, I got a triple whammy – carbon monoxide gas, arsenic dust, and asbestos dust. When I was one month old, I was abandoned by my parents. I was raised by my step-grandmother. I was sometimes beaten and sent to the basement to shovel coal to warm the house. All through school, I remember being on-edge, fighting, and having rage blackouts. My brain would “spin.” (When you drive down the road and look at the wheels of the car next to you, every once in awhile, you get a glimpse of the hubcap. That was how my brain functioned.) I didn’t know at the time that I had brain injury. After many years, I just ignored it and tried to fake it until it passed. My brain injury wasn’t diagnosed until 2010 – during a check-up when I was living in a homeless shelter in San Francisco. Then I found the carbonmonoxidesurvivor.com website. I was never treated until 2011, fifty-nine years after I was poisoned. I was given an experimental drug – Depakote (a mood stabilizer) – for one year. It worked immediately and had a lasting effect. I still feel good to this day. No, but at times I did fall asleep. I remember waking up on the dirt in the basement. I also had the most painful headaches – cluster headaches on the right side of my head. My headache would last for days and take days to go away. (Cluster headaches last for periods of time. They are among the most painful types of headache known. Typically, they occur on one side of the head.). The headaches lasted from my teens into my mid-30s. I lost my life – my wife and daughter and also jobs – from those days. I have gone to a psychologist for most of my adult life, but the carbon monoxide poisoning was never addressed. My therapy now is EMDR (Eye Movement Desensitization Reprocessing) as well as binaural beats (non-musical sounds that can get your brain into a variety of desired states) and Hemi-Sync (an audio-guidance process that results in the left and right hemispheres working together) brain entertainment programs that I have installed on my smartphone. I can use them anytime I need throughout the day. Tinnitus is a major issue in both ears – the ringing in each ear having a different frequency and volume. I suffer from throbbing and a sudden high-pitched ring that makes me deaf. I have to create a vacuum with my hands and pump out my ears to make it stop. I also experience nausea, dry heaves and a bubbling belly, and diarrhea – sometimes daily and several times a day. I get a feeling like I have an attached entity – like a heavy darkness – on the top of my head and on my face, throat, and chest. All these come in waves and last hours to days. I had always felt overwhelmed and stressed out. I could never keep a job for very long. Violence in my relationships and at work was my way of life. 10.How has your life changed? Is it better? Is it worse? As I’ve gotten older, I have eliminated as much stress as possible. But, my family (three ex-wives and two daughters) all hate me. In the 90s, I was a lot worse. I would wake up sick for hours at a time. It is not as bad now after the Depakote treatment. I missed out on everything. I don’t have many good memories of my childhood. I don’t remember Christmases, my birthdays, or Thanksgivings. School was a blur of time. I do remember getting beat up by bullies. My second marriage was horrible. I was out of control and violent. I was stressed to the maximum of my mind. I like that I have gotten smarter and more calmed-down. I want to live now. Before, I just wanted to be dead. I’m happy for the first time in my life. I dislike the tinnitus for sure. I get really tired of the throbbing and hearing the ringing. It wears me down. I also don’t like the nausea and the dry heaves, which have me gagging all the time. Yes. It has helped to know what caused it – carbon monoxide gas. I’ve also been helped by the carbonmonoxidesurvivor.com website. I thought I was insane, and so did everyone else. I finally have a reason why I have had so many problems all my life. I was a bad person with a bad brain. But, I knew I was a good person. I just didn’t know how to do life, until now. Yes. Everybody hates me. They won’t accept the truth about carbon monoxide poisoning. My family life is destroyed. I haven’t seen my youngest daughter for sixteen years. I had no social life before because I was overwhelmed. I was like a leaf in the breeze – drifting and lost. Now I feel like getting out more. Also, I have met many wonderful, supportive people in the TBI (traumatic brain injury) networks on Facebook. I have myself as a caregiver. I was employed as such when I was going to massage school in the early 90s. I did massage for twenty years. It gave some balance to my spinning brain. I am in the process of writing a book about my life with TBI. I hope to enjoy my retirement and my pathetic social security money. Maybe I’ll be living on a friend’s ranch and be at peace. Seek help immediately – no matter how little something may seem. Don’t take the “You’ll get over it” answer from anyone. You know what you need. Go get the answers, and save yourself. Be gentle with yourself. Surround yourself with gentle, supportive people. It’s okay to do it alone sometimes. In not talking and dealing with others, we can hear ourselves. Go with your cravings – eat when you’re hungry and rest when you’re tired. Sometimes your body knows better than your mind. If you would like to be a part of the SPEAK OUT! project, please go to TBI Survivor Interview Questionnaire for a copy of the questions and the release form. If you REALLY like my blog, share it intact with your friends. It’s easy! Click the “Share” buttons below. If you don’t like my blog, “Share” it intact with your enemies. That works for me too! 3. When did you have your ABI? At what age? 4. How did your ABI occur? I was subjected to 334 ppm (parts per million) of carbon monoxide for six days. At 6:00 am on the seventh day, I was found unconscious outside my apartment door. A hyperbaric chamber was used on three occasions while I was in a coma. I was in a coma 32 days. I had physical and speech therapies for two years – first, inpatient; then outpatient. Pre-injury, I was a retired Marine Colonel on discharge leave. After my injury, I developed a pronounced hyperkinetic motion disorder, with severe spasticity, a short-term memory disorder, and slow-awakening problems. I cannot walk, type, write, or do anything requiring either fine-motor control or large muscle use. I went from an active Marine to an inactive thinker. From one perspective, my life got significantly worse – about the worst it could. In another perspective, it became rather better. I have a better logical process; I am more understanding of others; and I have the dubious privilege to be unable to use any pharmaceutical drug. To combat this odd aspect of my disability, I studied to be an herbalist, and I live quite well. I cannot have many food chemicals, so I eat better too. 11. What do you miss the most from your pre-ABI life? 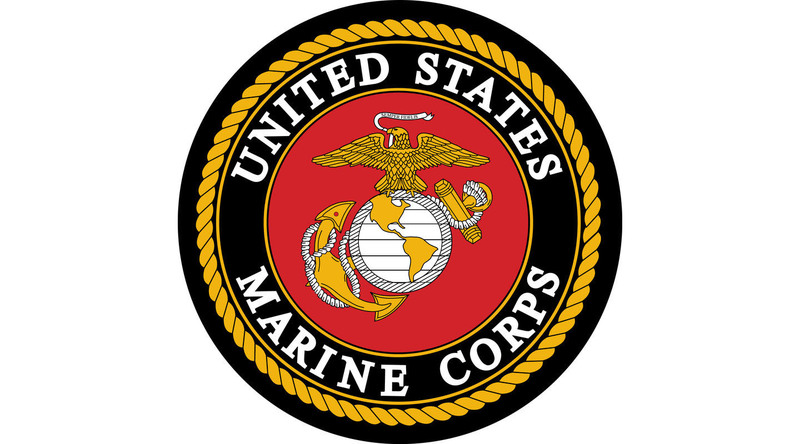 I miss being a Marine Corps Colonel. What do you enjoy most in your post-ABI life? 12. I enjoy knowing how to help people who cannot yet cope with their disability. I help anyone who asks. 13. What do you like least about your ABI? My brain injury turned me into a burden on everyone in my circle. I can do very little. Whenever I try to use my muscles, hyperkinesia starts up, followed by severe spasticity. It makes doing most things impossible. 14. Has anything helped you to accept your ABI? I eventually realized that this was what I had left in my life. I could either mope about lost opportunity, or I could grasp any opportunity that came my way. I chose the latter – I cannot change anything, so I willingly accept it. My life has been affected in every conceivable way. Everything is different. Relationships are far harder – people do not wish to know the twitching cripple in the fancy wheelchair. Physical relationships are completely different – I cannot be an active partner, so I must be passive. It takes a special person to be able to cope with that. Able-bodied people do not like to see severely disabled people. It embarrasses them. This makes socializing rather difficult. People will say “Call me” and give me the wrong number. Or, they will shudder at the thought of seeing me again. In stores, I am apparently invisible. Caregivers come and go. Some are good; some are perverts; some are thieves. They are necessary, so I lose things, get humiliated, or get assaulted. I have a friend who takes time to look after me once or twice a month. My friend works away and is home infrequently. It would be nice to still be breathing. I have lived as I do now for twenty years. I hope to live for longer. 19. Are you able to provide a helpful hint that may have taken you a long time to learn, but which you wished you had known earlier? If so, please state what it is to potentially help other ABI survivors with your specific kind of ABI. Accept it as it develops. It takes time to reach the level you will live at. Accept that, and it will be easier. It is easy to be angry at the condition you find yourself in. You were not supposed to get disabled in any way, and you probably think that it is horrifically unfair. That is completely true in every case, but it does not help you go on with living. To do that, you have to look at what you have been given, what you still have, and what you can do. Take that inventory slowly and carefully because it is important. When you know what you have to work with and what you can do, don’t try getting anything else. Just accept what you have and adapt to live at that level. When you have done that and you can live calmly at that level, you could try to do more, but not until you are calm with your disability. So many people spend all of their time trying to fight the un-fightable. They are constantly miserable because it does not seem fair. I know it isn’t. I lost nearly everything three months after I retired from the Marines. All my dreams, hopes, and expectations died along with some of my brain. I really do not need to make worse what I have left by being miserable about it. That is foolish. I have to go on living. I had, and still have, no alternative, so I must make the very best of what I have. You will enjoy a better standard of living if you do the same. Thank you, William, for taking part in this interview. I hope that your experience will offer some hope, comfort, and inspiration to my readers.